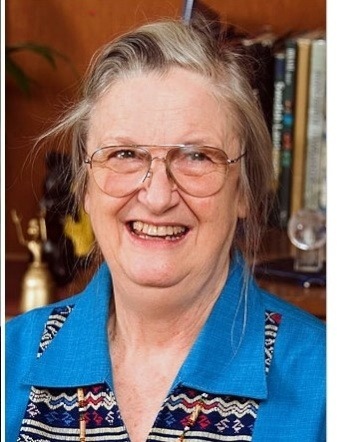 Elinor Ostrom has been awarded the Nobel Prize in Economics along with Oliver Williamson. Dr. Ostrom is the first female recipient of the prize, and perhaps even more exciting, is an institutional scholar who studied the commons. She’s an absolute giant in the field of environmental governance. It’s an inspired choice, one that suggests the committee is beginning to recognize the importance of interdisciplinary work and ideas on economics. Beyond that, she’s a super nice lady. This has been the first time I have smiled in weeks! We’re all supposed to pretend we’re all equal now, or else all the guys around me will start citing Lifetime Network and how tough they have it, but the academic world is highly male-dominated even though our professions–civil engineering, urban planning–have changed. I have dozens of great male role models around me, and I appreciate them all. But I have only a handful of women. Maybe the scarcity shouldn’t make a difference, but it does. Research and writing are lonely endeavors, and I can’t even begin to describe how isolating and alienating the tenure process is. You need to be able to know that people like you can succeed in the game. At least I have always needed that. So why is Ostrom’s work so important to cities? I’m glad you asked. Central to Ostrom’s work are exemplars where “commons” are governed successfully (and less so) among users. Garret Hardin, an influential ecologist who passed away in 2003, first brought the commons to our attention through a paper in Science, whereby he noted that rational individuals have an incentive to over-use the commons in the absence of clearly defined property rights . Ostrom’s work studied the role of institutions and agreements in adjudicating the usage of the commons, so that destruction of common pool resources was not inevitable nor necessarily the purview of individual property rights alone, though I would argue many of the factors she highlighted in her work amount to the creation of jointly held property rights . In other words, her work addresses the fundamental question of the city: that is, how do we get along together, how do we make decisions–good ones–about the shared goods (and environments) that affect large groups of people where property rights are perhaps fuzzy. Marginal Revolution has a discussion up. The comments leave quite a bit to be desired as they smell of sour grapes, but as with men and Lifetime movies, it’s not often that I get to hear economists, the veritable jewels within the crown of the social sciences and usually all-too-confident in their entitlement to act as consultants to power, fret about whether their status is slipping. IT’S ONE PRIZE, PEOPLE, CHILLAX WOULD YA? **My apologies to Oliver Williamson, but he’s a bit of a no-brainer here and I suspect his reputation can withstand being given short shrift in an obscure planner’s blog.